Indian desire to acquire armed drones from United States (US) has received the much required flip. On April 19, US president Donald Trump gave his approval for a new policy on the export of unmanned aerial systems (UAS) which will allow export of armed drone to its allies. India which is pursuing the procurement of General Atomics’ Sea Guardian UAS, can now ask for an armed version of the same. “The Trump Administration’s new UAS export policy replaces an overly restrictive policy established in 2015 that hindered American companies from delivering a crucial military capability to our allies and partners,” the White House said in a press statement. “American industry produces the most sophisticated and effective defense systems in the world. Today’s announcements are key first steps in a series of Government-wide initiatives to strengthen our allies, support the manufacturing and defense industrial base, and drive American job creation and innovation,” it added. According to the new policy, US wants to achieve five “primary objectives” through the UAS export - increases trade opportunities for U.S. companies, bolsters partner security and counterterrorism capabilities, strengthen bilateral relationships, preserve U.S. military advantage and prevent the proliferation of weapons of mass destruction (WMD) delivery systems. The new policy will allow the sales of armed UAS transfer through Direct Commercial Sales (DCS) in addition to Foreign Military Sales (FMS). The policy enforces the recipient nations to arm these systems with US weapons only. If and when India purchases the armed drone, it will have to order for US weapons including the fire and forget AGM-114 Hell Fire, air to ground missiles, which is used in neutralizing ground targets by US armed UAS across the globe especially in the Middle East and AF-Pak region. But the policy subjects the recipient state to enhanced “end-use monitoring” and “periodic consultations with the US government on their use”. India, if and when it buys the armed drones, will have to give access to US arms inspectors to its bases. This could be a contentious point for India as it will undermine India’s strategic and tactical independence. Touching upon the areas where the armed UAS could be used, the policy allows them in “national self-defense” in “accordance with international law, including international humanitarian law” but prohibits the use of it “against their domestic populations”. As reported earlier in SP’s Aviation, during Prime Minister Narendra Modi's visit to USA in June 2017, an offer to sell Predator B was made to India. In the joint statement released during the visit, the two sides said, "United States has offered for India's consideration the sale of Sea Guardian Unmanned Aerial Systems, which would enhance India's capabilities and promote shared security interests." Recognising India as a 'Major Defense Partner', the statement said, "The United States and India look forward to working together on advanced defense equipment and technology at a level commensurate with that of the closest allies and partners of the United States." 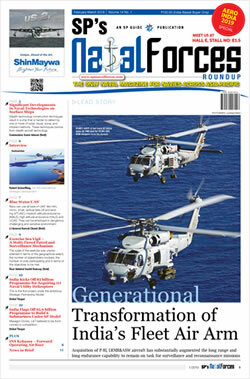 Minister of State for Defence Subhash Bhamre, on December 20, 2017 in response to a question in Lok Sabha, informed, "Request for Information (RFI) for Predator 'B' Sea Guardian was issued to the US Office of Defence Cooperation on 14.11.2017 and response is awaited." Procurement of Sea Guardian is "progressed under Buy (Global) category and no transfer of technology is envisaged." With its payload capacity of over 1700 kg, Sea Guardian - unmanned aerial system (UAS) falls under category 1A of the Missile Technology Control Regime (MTCR). Last year India became its 35th member which allows India to engage in trade of missiles and drones with range more than 300 km. As per media reports, India is expected to spend $2 billion for 22 of these birds. As reported earlier in SP's Aviation - July 2017 edition, the Guardian UAS manufactured by General Atomics Aeronautical Systems of the US is the naval variant of the Predator B drone which is now known more appropriately by the name MQ-9 Reaper. This is a long-endurance, high-altitude platform that can be employed in armed patrol role. It was the first hunter-killer Unmanned Aerial Vehicle (UAV) that was employed operationally by the US Air Force for the first time as early as in March 2007. This unmanned platform has also been in service with the armed forces of Australia, Britain, Netherlands and Italy. 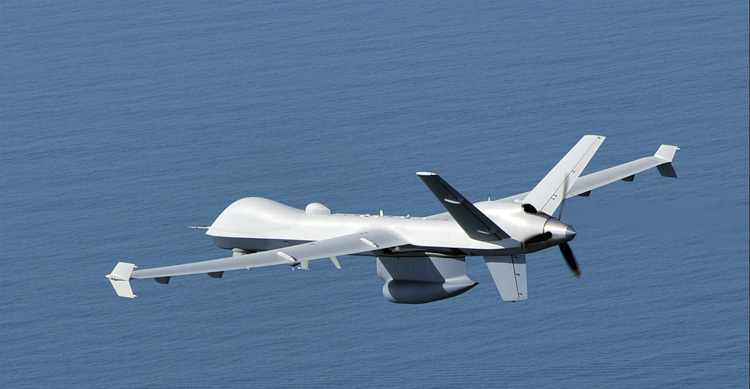 In comparison with its predecessor, the MQ-1 Predator, the MQ-9 Reaper is larger and more powerful as it is equipped by a 900 horsepower Honeywell TPE 331-10 turboprop engine, as against the 119 horsepower engine on the MQ-1 Predator. 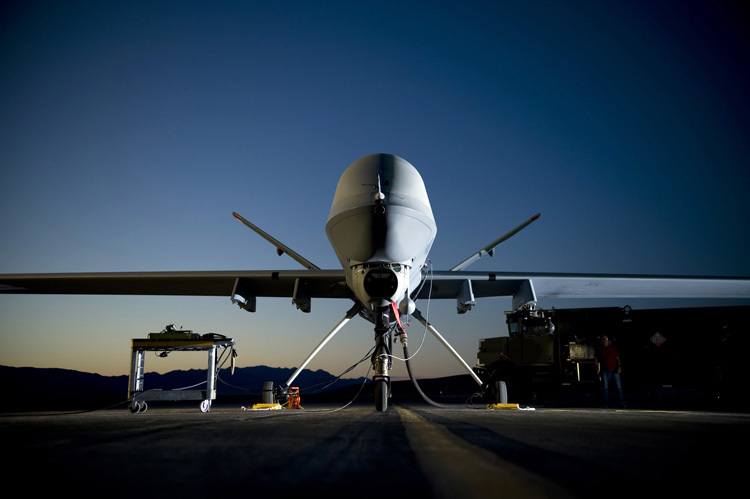 Also MQ-9 Reaper is capable of flying at an altitude of up to 50,000 feet and can fly at nearly three times the cruise speed of the MQ-1 Predator. The engine of the Guardian UAS is integrated with Digital Electronic Engine Control (DEEC) that enhances the performance of the power plant and provides it the capability to prevent wasteful consumption of fuel when operating at lower altitudes. To increase its surveillance capabilities, India is on a shopping spree for UAVs and in last two decades has purchased Searcher Mk I and II and Heron from Israel's Israel Aerospace Industries (IAI). 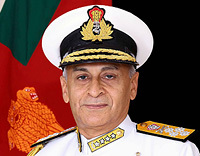 India Navy has been operating UAV squadron since 2006. In 2015, Israel agreed to sell 10 Heron TP armed drones for $400 million to India. Things have not moved since. There were talks of the deal getting final shape during PM Modi's visit to Israel in July, 2017. In November last year, Defence Acquisition Council cleared proposal to buy 598 mini UAVs, under 'Buy India' category of DPP, for over 1,000 crore. India is also looking for around 100 armed Predator C Avenger unmanned aircraft for the Indian Air Force (IAF).With coming of the new policy in force, India can now plan to acquire armed UAS from US which will give it tactical and strategic advantage against its adversaries - China and Pakistan - across the Himalaya.